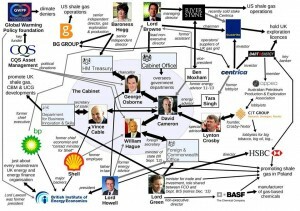 The Tangled Web of Liars, Thieves and the Un-green ! This page has been in my thoughts and conversations quite a bit. Lately it seems that every move that Cameron makes can be explained by looking at this tangled web of liars thieves and the un-green. I originally posted this as a derisive commentary on David Cameron’s efforts. Click on the Pic for a larger view! There is no more fun in this now. 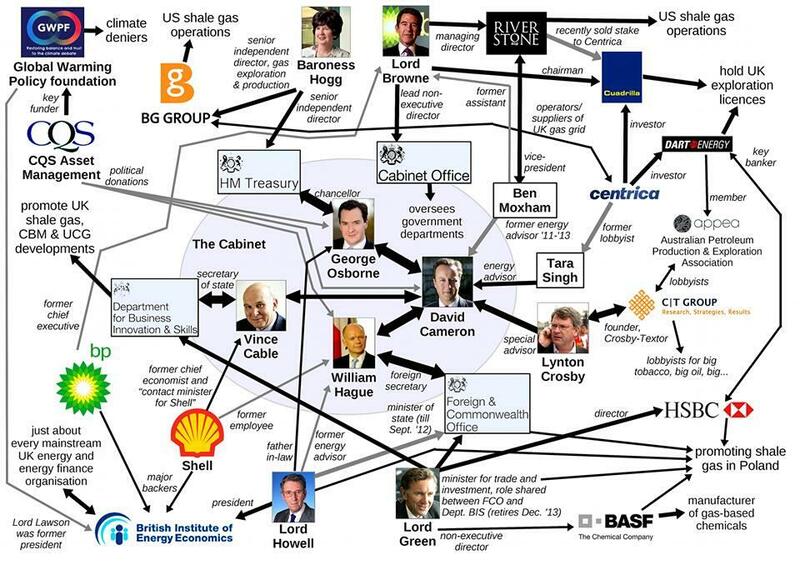 David Cameron and his Tangled Web of Liars Thieves and the Un-green are working very hard to destroy our collective energy future. They seek to destroy more than this; unions, prison system selloffs, sovereignty(chinese nuclear deal) and others. However I must now look again at this map to Cameron’s dark soul. The UK is now on a precipice and looking into the abyss of darkness(no power to run our lights). We do not need to be here. Cameron can still save our sacred land, our environment, our water. If only he can see the disastrous future he is working to create. Fracking accidents will render water undrinkable. Blackouts will become common as the Hinkley C project fails to deliver any power(not finished-over budget-protesting continues). The Chinese will demand repayment of their billions and hold our country to ransom. Other countries will extend their lead in renewables and point to the UK and laugh at the stupidity of our government(this is already happening now in 2015). Help stop the Corporate theft of your future. Write you MP now.